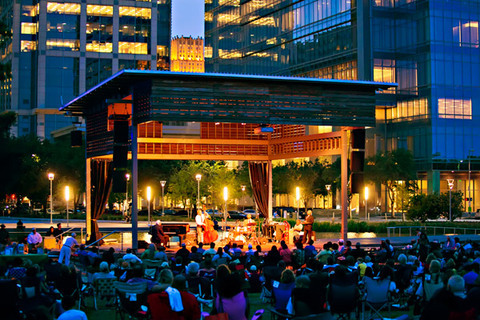 Two Star Symphony, Houston’s most unusual music ensemble, makes a welcome return to Discovery Green with a performance of their original score to Girl Shy, the classic romantic comedy by Harold Lloyd. (Black and white, 1924, 87 min.) Dress in 20’s era costume for dance lessons and a costume contest. Prizes include dinner at the Grove and more! Presented with support from the City of Houston through the Houston Arts Alliance.